Some 6.4 billion connected "things" will be in use worldwide in 2016, up 30% from this year, according to a recent report from Gartner Inc. In 2016, 5.5 million new things will get connected every day, and total connected things will reach 20.8 billion by 2020, the report says. Gartner estimates that the Internet of Things (IoT) will support total services spending of $235 billion in 2016, up 22% from 2015. The Internet of Things represents an emerging reality (as shown in this infographic) where everyday objects and devices are connected to the Internet, most likely wirelessly, and can communicate with one another at some intelligent level. It is also assumed that, as the physical and digital worlds integrate more closely with each other and as the number of connected devices reaches a predicted 25 billion by 2016, the IoT will enhance and evolve our ability to manage and process information. Let’s consider Uber for a moment as its business model brings about a new IoT value chain. Uber has inserted itself between the manufacturers of products and service operators that utilize the product and positioned itself as an enabler of service. It has become a “service enabler,” and market research suggests service enablers will dominate this new value chain. Plus, IoT-capitalizing organizations such as Uber are disrupting legacy business models and current incumbents. Obviously, taxi companies are less than thrilled about their new ridesharing competitors, but even conventional car manufacturers are not safe. Uber opened a research and development center in Pittsburgh to study autonomous cars—and it recently poached a Google Maps executive to oversee location technology. Uber wants to be treated as a pure technology company – not a transportation company – creating a platform where a qualified driver with a car and a smartphone can pick up passengers. And it’s conceivable that Uber could start licensing its other platforms – like its e-commerce engine or marketplace matchmaking – to other aspiring startups. This could give a boost with some off-the-shelf capabilities these startups don’t already have, allowing more focus more on unique designs and development – all the stuff that makes an idea great. It also means they could allocate more funding to developing a service provider ecosystem and marketing to potential customers. At the moment, Uber’s business isn't about self-driving cars (and all the capital involved); it's about delivering software that connects two groups of people (drivers and passengers). Of course, an opportunity exists. A self-driving car can carry someone from home to work, head off to a different office and pick up someone going to the airport, even take a package to be delivered to a client – all while a conventional car sits based on its driver’s schedule. Another situation where driverless cabs would provide benefit is a traveller needing a shuttle between airport terminals and parking lots (particularly in the off-peak times when you end up with one person in a 50-seater bus). A traveller will likely pay a fiver to get a quick taxi to the parking lot rather than hang around at midnight in the rain waiting for a coach. Yet the likelihood of Uber moving into operating the cars themselves, never mind doing it with driverless cars is a fundamental change of strategy. The takeaway here is that the IoT has real value that is much more than connecting a TV to the internet. It’s also about taking a hard look at your business and determining what new information and capabilities the IoT can provide. Once the Uber app launches open on a smartphone, location sensors associated with both the passenger’s and the driver’s mobile devices (the actual “things” being monitored) are regularly broadcasting their location to a back-end system that is hosted by Uber on the “Internet Cloud”. Some of this information will be computed on-the-fly, given the most recent information available, such as the current location of each car. Other information, such as the average fare paid by pick-ups in a given location at a particular time, or the total lifetime value of a particular driver to Uber, are likely to be pre-computed on a scheduled basis in batch mode. A lot of people think about IoT in the area of sensors and wirelessly connected things, such as lights that turn on through an app. But actually, IoT is about much more than things; it’s also about the insights and capabilities that connectivity provides and how these new capabilities can create better value. When I think of a successful IoT case, I often think about Uber, a ride-sharing, car-hailing app that takes advantage of connectivity information to deliver value to both drivers and passengers. So how exactly does Uber monetize IoT? Uber doesn’t build its own connected cars, doesn’t own any cars and doesn’t own the drivers. Its business model simply taps into the data enabled by IoT. 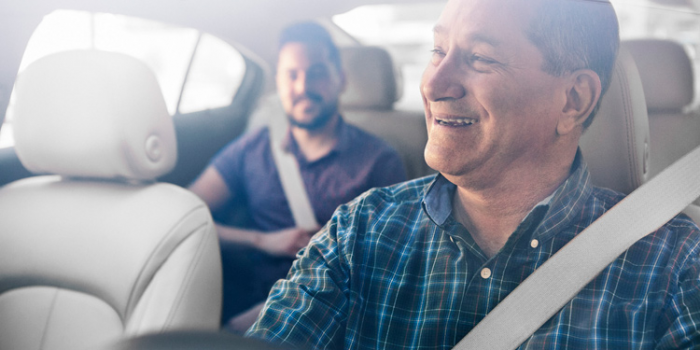 Using information such as driver location, passenger location and payment method, Uber helps connect the dots between a passenger looking for a ride and a driver willing to provide it. By packaging this material in a consumable way through a mobile app, Uber delivers a new level of customer engagement and gives power to the consumer.